Pre-launch of the FON Top: Exclusive and Limited orders now. “Shine in your handwoven, custom made FON Top! ...And know that your purchase is supporting Local Community, Tribal Craftsmanship and Young Shan Women from Myanmar. FON FABRICS is launching a new Ethical Fashion brand with a custom made collection of FON Tops. It’s our mission to share wonderful things from the East while giving back at the same time. Our collection supports and values local craftsmanship and traditional Shan hand-woven fabrics. Our co-creation Tops are a unique blend of traditional patterns and modern design. These TOPS are great for all occasions. The colorful patterns will make you shine and add magic to your day! We customize these Tops making it a perfect fit. Whatever your size, we make sure you look good. The result? A flattering TOP for any body type. FON Tops go well with a variety of clothing like skirts, pants, shorts or high-waist bottoms. The FON Tops are handwoven by artisan weavers using a foot pedal loom. It takes our weavers 3 full days to create the fabric for 1 TOP. The designs are SHAN traditional patterns and the fabrics are locally used to Myanmar’s traditional dress called a ‘Longyi. A sarong that both men and women wear. Nang Hom Khay on the Foot Pedal Loom. A Pedal Loom is an artisanal weaving method that uses the artisans feet to alternately lift and lower the thread. FON Fabrics is founded by Hester de Vries. 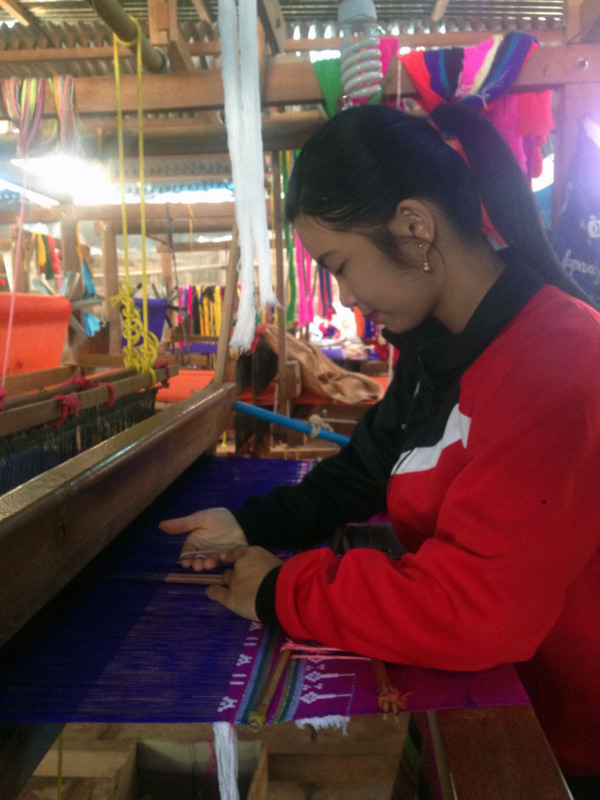 The FON Top is a co-creation of Hester, Noan Harn and her team of artisan weavers. The two women met in 2011 in Chiangmai, Thailand. 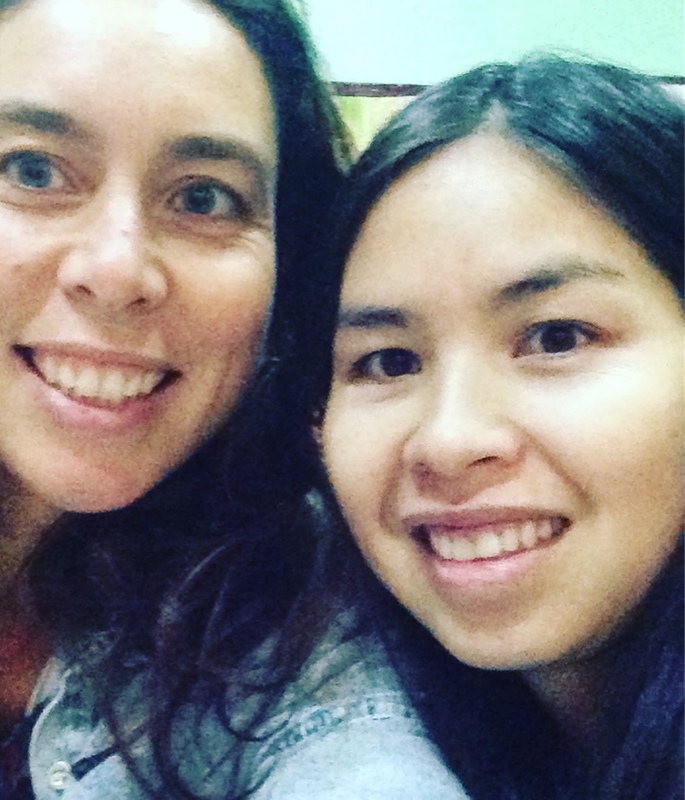 Hester was working for We women foundation (a foundation that promotes the education of ethnic women from marginalized communities in Myanmar) and Noan Harn as a ‘We women’ student. They connected through their shared passion. 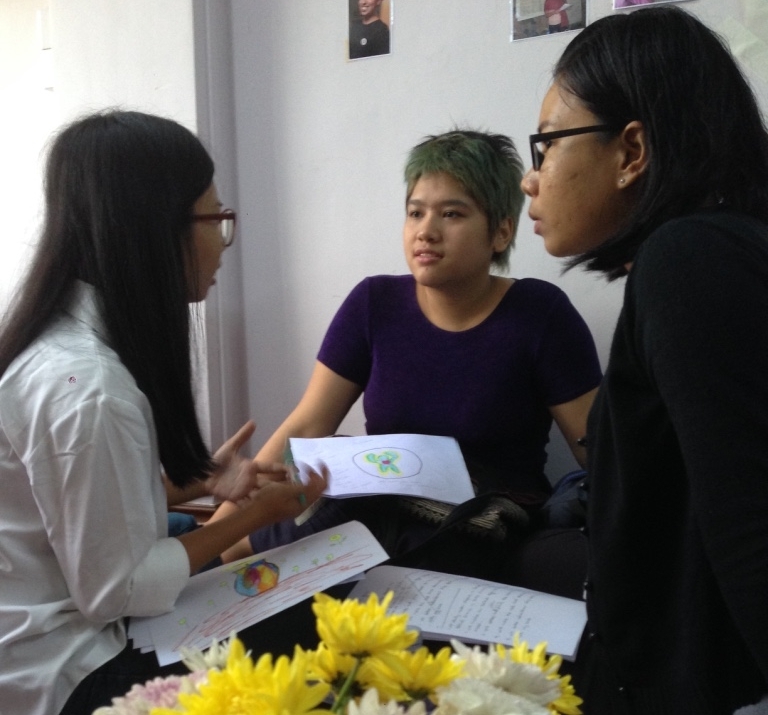 Both women see social entrepreneurship as a tool to drive positive change in communities. “It was my dream to develop a local business, for local people, creating more jobs and better development in my community” (Noan Harn). Noan Harn employed and trained women from her remote village and started her own successful weaving business serving the local market. “I’ve always loved the bright colors, wide variety of patterns and fabrics of Myanmar’s traditional dress: the Longyi. When wifi became a bit accessible to her area, Noan Harn was able to share these beautiful handwoven creations. That’s when I knew I wanted to visit her even though she lives very remotely.” (Hester). After Hester’s visit in January 2018 her intention turned into reality, bringing these traditional designs to the west; the first Fon Tops were born. FON means rain in the Shan language. This name is chosen to honor ‘Life’ and Shan Culture. It is also the name of Noan Harn’s second daughter who is born at the same time as our FON Tops. In western cultures we often dislike rain, in other cultures like the Shan culture it is loved and honored. How does my FON Top purchase support Local Community? Your purchase supports an ethical and inclusive local business that inspires women and creates jobs in Myanmar. Your purchase also helps facilitate Personal Development workshops for We women foundation and the Taunggy Youth Center. These workshops train young minority women and men in leadership by supporting their values, gifts, skills and passion. Hester has been living in Asia since 2011. Her journey brought her to Pai, Thailand (near the Burma border) where she lives a simple life, started a family and worked with local communities. “What I love about my life here is the connection with the land and the elements, and sharing this magic with my community. I feel that in ‘the West’ we have lost something that can be found in other cultures such as the Shan culture. This connection to nature is reflected in their woven fabrics. She is a newbie to the fashion industry. Her background is in ‘development work’, although she doesn’t like that term. “I believe in human connection, and see value where others might see hardships and injustice. I’m not ignoring that reality but choose to shed light on the beauty and chances this world has to offer and in doing so I believe we can change the world one bit at the time”. She founded FON Fabrics to share that beauty to the western world, while supporting Local Community, Tribal Craftsmanship and Young Shan Women from Myanmar.